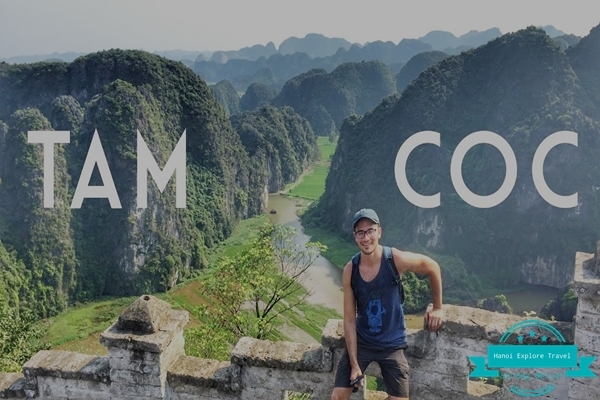 Tam Coc literally means three grottos located in Ninh Hai Commune, Hoa Lu District, Ninh Binh Province. Once upon a time this place was full up with flapping sea waves, passing many centuries the waves eroded into the cliffs created different shapes of karst landscapes. 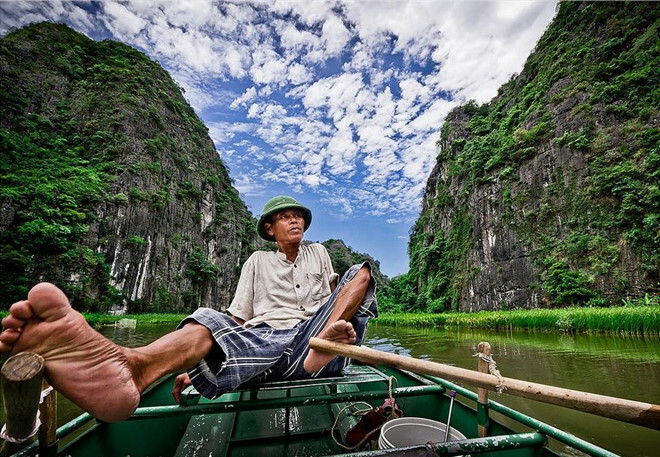 The only way to visit Tam Coc by waterway which normally takes about 3 hours. 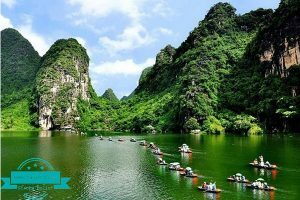 Far from Hanoi about 100 km, Tam Coc is known as the ‘Ha Long Bay on land’ is a great destination for your holiday in north of Viet Nam. In Tam Coc Ninh Binh you’ve got the perfect recipe for calm and impressed on this beautiful countryside. 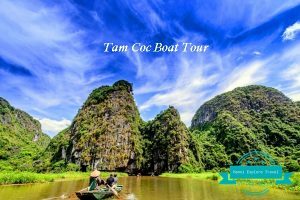 In all seasons in one year you totally can plan your time to explore Tam Coc cave and Tam Coc river. 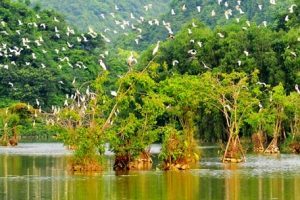 But the prettiest period of time is in the spring from January to April in Viet Nam, this time will be preferred because of the comfortable weather and fresh air. 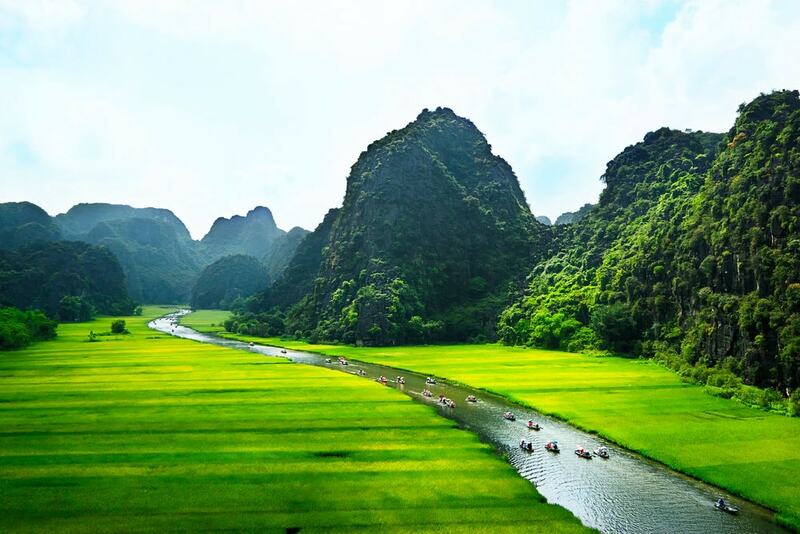 Another Best Time to Visit Tam Coc is from May to July when all Tam Coc rice fields are in harvest season. The beauty of Tam Coc now looks like a young lady’s long, soft, bright and yellow hair. Some visitors are interested in experiencing as a local to save their cost for transportation a bit. 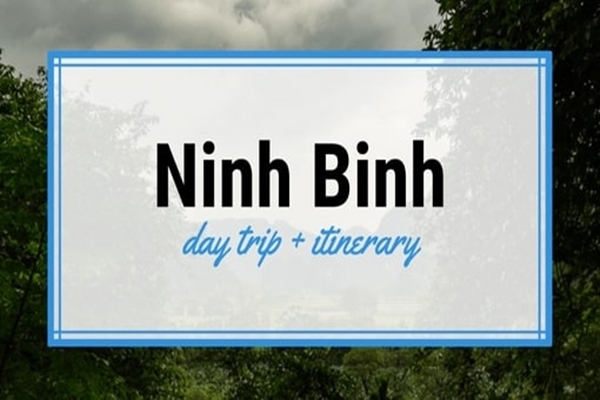 So it is possible for you to catch a bus from Ha Noi to Ninh Binh province. 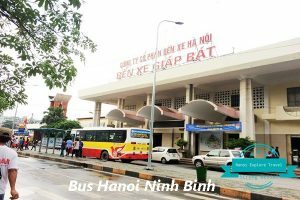 You can go to Giap Bat bus station and find many bus companies with route to Ninh Binh. 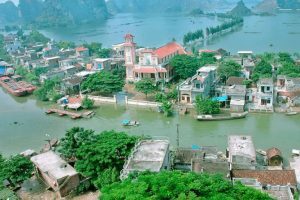 But, they will not drop you off in Tam Coc directly but stop at Ninh Binh bus station. From there you should take a cab to go to Tam Coc with the cost is not much expensive than motorbike. This way is not highly recommended for you because it’s complicated or you may receive poor service from public transportation. Another way is sharing minivan with other people. You can buy your tickets or book your private car with some Travel Agency or hotels. 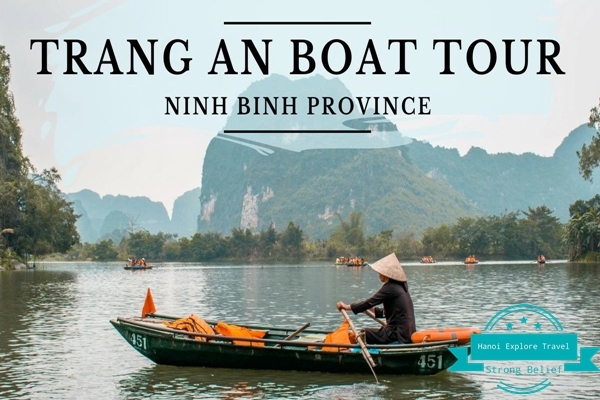 Or you can book Shutle Bus from Halong to Ninh Binh. This is tourist bus, not local bus, so you no worry about quality of bus. 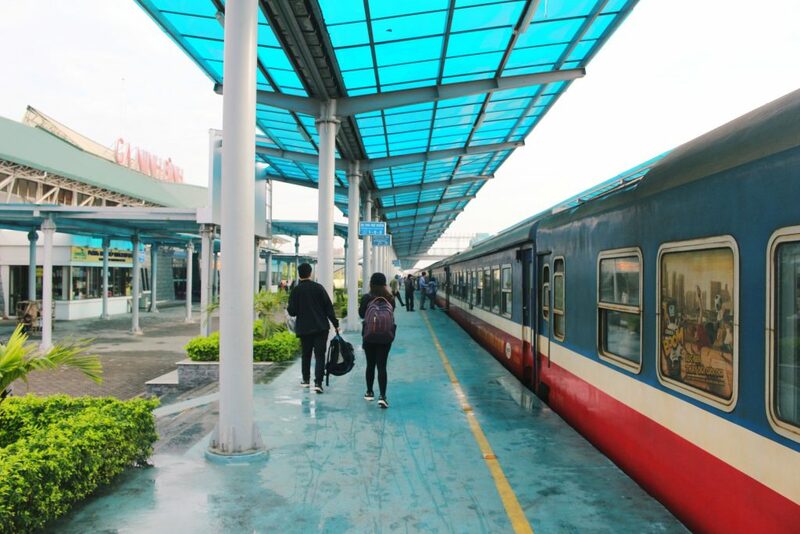 It runs from Halong at 12.00am from Halong City and from Tuan Chau Harbor. The cost roundy from 12USD/Pax/Way. It’s reasonable price for traveler who travel alone or a coupble. If you don’t know how to contact to them, you can drop your comment or send us an email or what’s : +84915815535. We make sure will help you to get best deal for you. 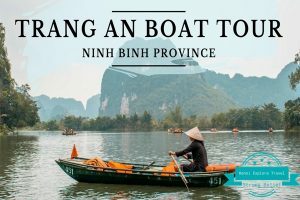 Since the distance between Hanoi and Ninh Binh is quite short, it is easy to take Tam Coc day trip. 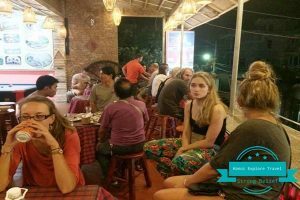 However, if you want to stay overnight in Tam Coc there are also many hotels or homestays for you to choose. Meat goat: This dish is extremely nutritious and delicious because the goats live on the mountainside. They usually eat the leaves growing on the mountain. Take a Tam Coc Boat Tour is the only way for you to explore Tam Coc. 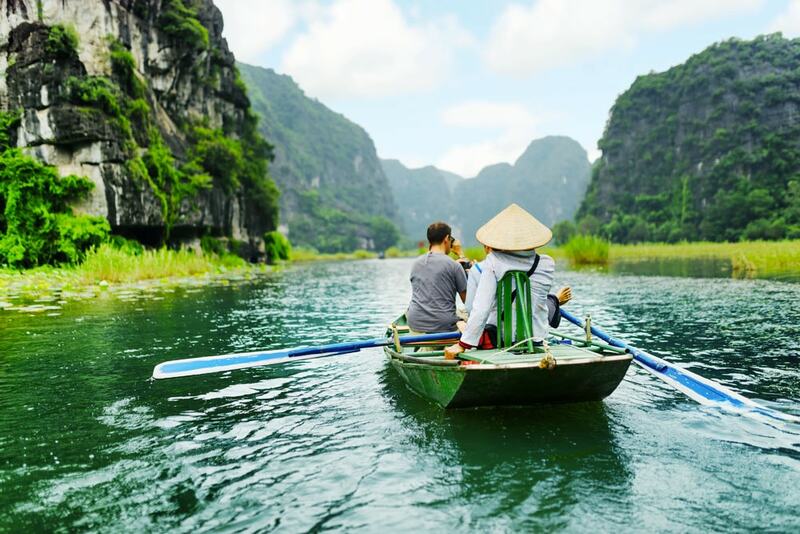 Whilst visiting Tam Coc, you should discuss with the local boatman if you want to stop somewhere for taking photos, find out some panoramic views or climb Bich Dong pagoda…With a lot of experiences boat riders know where to stop and find best places for you to climb the cliffs. Mostly local people know how to speak English otherwise you should company with a local guide. 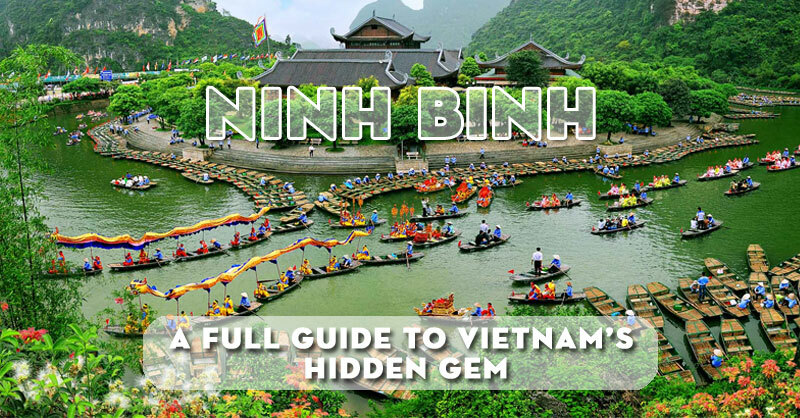 The provided information above is enough for you to prepare for a trip to Tam Coc Ninh Binh. If you need any further support, feel free to contact us. 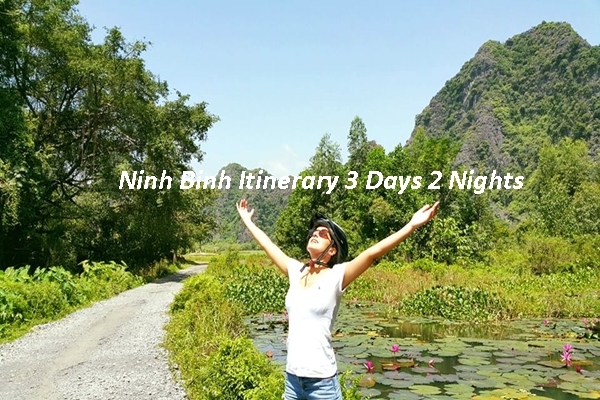 We are always be here to assist your special vacation in Viet Nam as well as in Tam Coc Ninh Binh!